Our Valentine’s present this year: a new steel roof! 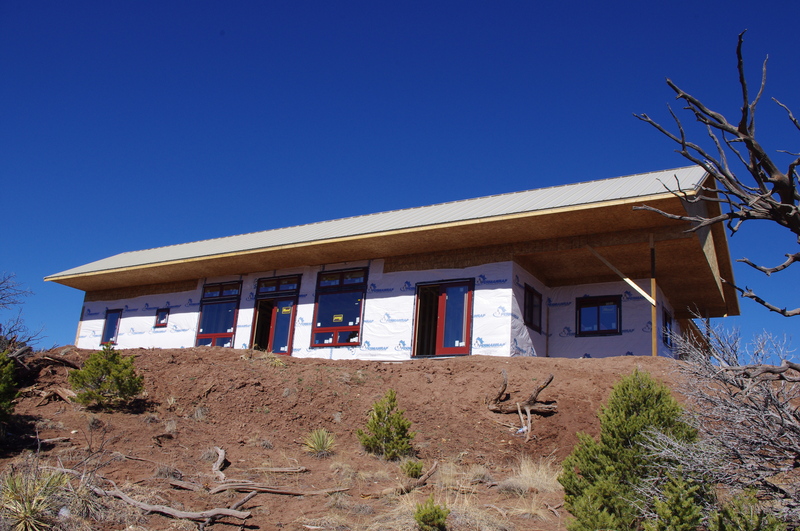 The pace is certainly starting to pick up on our new home in the foothills west of here. 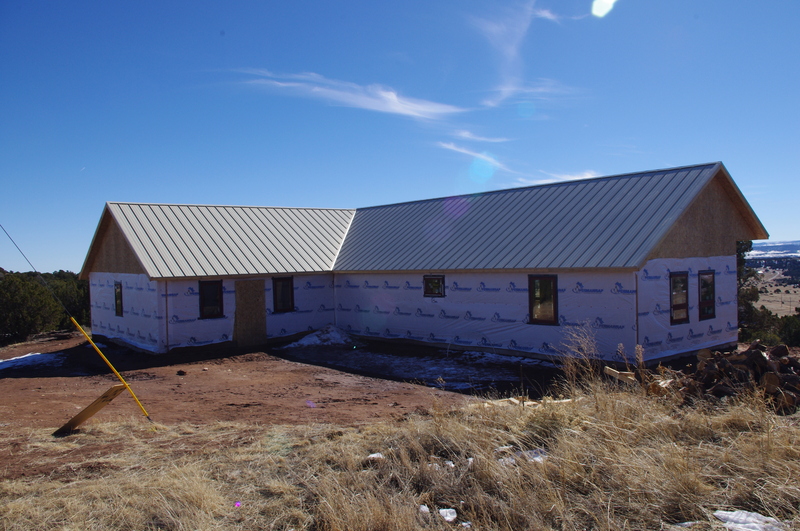 Today on our trip out there we found a handsome new steel roof, light-colored to keep it extra cool in the summer! The garage door goes on Monday and the kitchen cabinets should arrive this week too! We are also now ready for the plumbing. We had to make a run to Home Depot in Pueblo to purchase the tub, etc. before the plumber could come back. 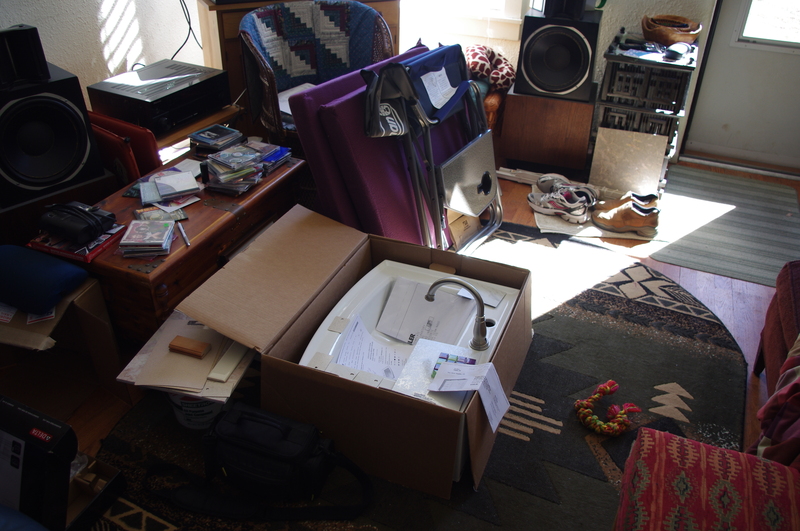 So right now we have a bath tub and shower pan in our van, and a bathroom sink in our living room… Now that’s a first for me! We decided we would give each other a new house for Valentine’s Day this year! ← Our new house is finally looking like a home!